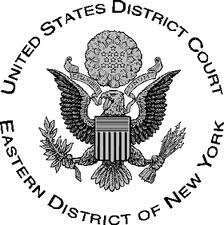 Poker author and historian James McManus has filed an amicus curiae (“friend of the court”) brief in the ongoing case of United States v. DiCristina, the “skill game” case concerning poker which has now moved to a federal appellate court. The brief, which McManus published today, strongly backs the initial ruling issued by Eastern District of New York Judge Jack Weinstein in the case. Last August, Weinstein ruled in favor of defendant Lawrence DiCristina, a New York operator of a private poker club, who defended himself against gambling-enterprise charges by asserting the defense that poker is a skill game and thus not covered under the Illegal Gambling Business Act (IGBA). IGBA, dating from 1970, is the law federal authorities used to attack DiCristina’s Staten Island game. McManus’s effort is a departure from the standard amicus brief, drawing on his own extensive poker-history knowledge in offering a quick primer in the game’s two-hundred-year history to the appellate judges. In doing so, McManus also implies that prosecutors were “mistaken” in their attempt to shoehorn a poker business under IGBA’s reach. McManus’s own claims to legitimacy in authoring such a brief are unique. The University of Chicago professor splashed onto the poker scene by finishing fifth in the WSOP Main Event after satelliting in while on assignment for Harper’s, then relayed that experience in a best-selling book, Positively Fifth Street: Murderers, Cheetahs, and Binion’s World Series of Poker. McManus parlayed Positively Fifth Street‘s success into a secondary career as a poker writer, and his extensive research into poker’s history led to one of the game’s most comprehensive works in that regard, Cowboys Full: The Story of Poker. After providing the court with a comprehensive history lesson about poker, its society role and its enjoyment by past political figures (which is nice and showy but perhaps irrelevant in the legal sense), the meat of McManus’s amicus brief claims that IGBA was quite intentionally never designed to cover poker, since poker differs in important ways from the racketeering-controlled games targeted in 1970, when IGBA was passed. McManus also makes a strong case that legislators understood full well the importance and general societal role of poker, then and now, and that given poker’s prominence, its omission from all aspects of IGBA must be taken as intentional. The nine games specified in 1970’s IGBA are “pool-selling, bookmaking, maintaining slot machines, roulette wheels or dice tables, and conducting lotteries, policy, bolita or numbers games, or selling chances therein” — all defined as “gambling” under the statute. McManus also noted that the Wire Act and the Wagering Paraphernalia Act, similar laws that also sought to attack rackets-controlled games, also failed to mention poker. The complete amicus brief in the case, which remains before the appellate court, can be read here.